Summer – the season of sun, sand, oceans, shorts, sunburns, and, oh, K-pop summer hits (hello SISTAR). The summer has come and gone, and we have entered the fall season. Pumpkins, Halloween, horror movies, sweaters, and the comeback of the dreaded pumpkin spice latte zombie come to mind during fall. And in the K-pop world, after a brief hiatus of big name comebacks after the usual summer K-pop rush, we have started the next slew of comebacks for the year with Infinite and Red Velvet. We can usually expect a brief break in between seasons, but we pretty much know that come late September, we’ll be getting new releases from our favorite groups. With that in mind, what comebacks, announced or rumored, have you excited? Qing: First of all, why isn’t SHINee back yet? Is SM pulling a YG? Or did they come up with something better than “Married to the Music” and decide to delay it for Halloween? Whatever it is, SHINee has been proving their musicianship time and again, whether through their group or solo work, so I’m definitely looking forward to their comeback. I’m also quite curious about what Monsta X will show us with The Clan 2.5 Part 2. I was quite confused the first time I watched the MV for “All In,” but I’ve come to appreciate the dystopian yet dreamy aesthetic and the striking choice of color for the flower. By the looks of their teasers, it seems like the flower will show up again. Not many details have been revealed about Sandeul‘s solo, but I’m praying really hard that he won’t be stuck with a generic ballad. He is one of my favorite male vocalists in K-pop, and among the best—if you’ve seen his performance of Im Jae-bum‘s “I’m a Candlelight Before You” on Immortal Song 2, you’ll know what I mean. I’m really looking forward to BTS‘s Wings, coming on October 10. The snippets of songs in the short films are promising. I’m not such a fan of the theories, but I really like what the creative team behind the short films have put together; it’s so carefully crafted and evocative. Gaya: This is the last time this year I will be excited about new music, because I don’t do winter releases (so byw, EXO). I obviously cannot wait for SHINee to come back; I really hope the album packaging is more K-pop and less jewel case this time around, because I want a physical copy. I’m also looking forward to checking out what A Pink and Crayon Pop have recently put out. And though I’m not a BTS or Monsta X fan, I’m interested in checking those out, too. I’ve been avoiding all the teasers and will be going in blind, so it’s going to be an interesting experience. Mamamoo‘s return to music shows is going to be a lot of fun — I need them to fuse their song with other, better, songs, so that I can care about them! Pat: I don’t do winter releases either, so I’m totally with you, Gaya. Aside from the very obvious picks of SHINee (hurry up, SME!) and VIXX (because I am unrepentant trash and need closure on this convoluted storyline), I am interested in what BTS has to offer. The group is a huge hit or miss for me, but I won’t deny that their MV’s always have some sort of impact on me. Other groups I’m lowkey excited for is TWICE, because it’s always interesting to see what a group releases after a huge hit like “Cheer Up,” BlackPink because I loved “Whistle” and I want more Jennie and Lisa, and Ladies Code because I loved “Galaxy” and will always cheer them on. Aside from these, I’m looking forward to Ailee‘s comeback. I’m hoping that she has something interesting because I haven’t been a fan of her last releases. Mamamoo is a no-brainer, as is whenever we’re getting that Station song Taeyeon did during her solo concerts. And of course, I will finish my list with Shinhwa‘s November comeback. Sarah: Putting my enthusiastic vote in for SHINee, VIXX, Mamamoo, and BTS. Especially BTS as this will be a full album and the snippets of songs in their teaser videos have me falling in love already. I can’t wait to listen to that all the way through. Monsta X also has me very excited for the continuation of their post-apocalyptic series. I’ll second Qing on Sandeul’s solo, as well. While B1A4‘s releases haven’t quite been hitting the right notes with me lately, I still love their voices. I very much hope Sandeul really gets the chance to stretch his wings and try something new and different. What about those rumored comebacks though? Is the Sechs Kies comeback actually happening? What about T-ara? And where in the world is our MADE album? I guess my old school side will have to be satisfied with the Shinhwa comeback for now. Pat: I have given up on MADE. If YG can’t even give us MADE properly, not to mention it’s like they’re pretending WINNER‘s EXIT Project isn’t a thing, then I don’t expect BlackPink to actually have those 8 releases (thank the heavens). Last I heard about Sechs Kies’ comeback is that Tablo is producing their comeback song. I don’t know them that much, but Tablo producing anything is always a good sign. Sarah: I agree, MADE is probably a lost cause. YG is like that friend who tries to do all the cool projects but fails to ever finish anything. They’ve stretched themselves too thin. Doesn’t help me from hoping, however. I’m psyched about anything Tablo does! Considering he also has history in the industry, similar to Sechs Kies, I’m confident that they can produce an awesome product together. He can probably help put something together that sounds modern yet is also a throwback. Qing: Pat, I relate to your sentiments on Ailee’s recent title tracks. 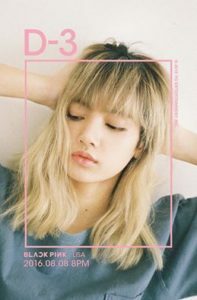 There is hope yet, though, as the producer of her title track this time round composed her previous B-sides, which have generally done a better job in showcasing her range and skill. The teaser for “Home” also looks visually stunning. Everyone I mentioned initially has dropped their teasers since! We really are getting inundated by more comeback news by the day. The 1990s vibe of SHINee’s teasers and the radio broadcast posts are so cute, but their 1 of 1 logo reminds me so much of Toy Story and I just cannot unsee it. Camiele: I don’t put much (read any) stock into YG, really. So I’m not looking forward to much from them anyway, though if rumors of Dean moving over there are true… I’ll be looking forward to my heart breaking under the weight of crushing disappointment. Otherwise I think it’s clear we’re all looking forward to SHINee’s comeback. For more than one reason, They’re the group that survived SM with all their members intact and music that still manages to push the group for more and intrigues listeners. Odd raised my expecations of what the group is capable of. More than just typical “bops,” they created some exceptional music, point blank. That being said, with MFBTY‘s Feel Ghood Music joining with Illionaire Records, I’m most fascinated to hear the music the debut under Ghood Life Crew. I can’t wait to see what they have in store for all of us! And though I’m not particularly fond of Dok2 musically, JK has a lot of respect for him, and he certainly doesn’t lack for vision. 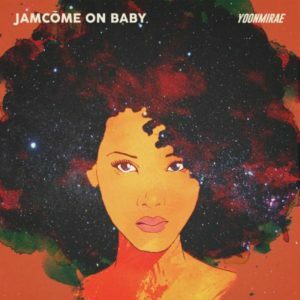 Queen T already released some gorgeous music thus far this fall with “Jam Comeon Baby,” so anything else coming from that way is bound to be spectacular. Also I’m over the moon that the Barbarettes are releasing another album. With their new lineup, I was, admittedly, a bit hesitant. But I love those girls no matter what, so I’ll support them for the rest of my days. Of course, when you work with the original and former bassist of one of my favorite bands of all time (Stuart Zender), you’re pretty much guaranteed my undivided attention. Lauren M.: I don’t know if ‘excited’ covers how I feel about BTS’ upcoming 2nd full-length album Wings. Bighit‘s campaign to keep ARMYs on their toes by releasing surprise teasers has worked alarmingly well on me. I’m beyond thirsty at this point. BTS’ musical output has never disappointed me in the years I’ve been their fan and after Suga‘s mixtape and the Young Forever special album earlier this year, I doubt they’re going to start now. Another group I’m really anticipating is Ladies Code. These girls turned tragedy into artistry this year with their mini Myst3ry, which dropped back in February. It was a slow burner and might’ve missed some K-pop fans’ radar, but it’s stuck with me all of these months. Now that they’ve officially announced their comeback for October 13th, I’m more than happy to let them become my favorite girl group. If they keep releasing well-rounded tracks like “Galaxy”, they just might. 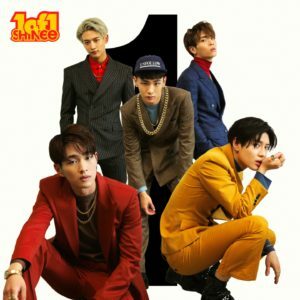 SHINee’s Taemin and Jonghyun also had two of my choices for best albums this year (yes, I’m already prepping my end of the year list), so, as far as I’m concerned, right now SHINee is shining. I’m really hoping they continue their golden streak. Rookie group Monsta X surprised me and released one of my favorite songs of the year with “All In” so I’m really hoping they can continue intriguing me with their Clan concept. The freshly released teaser for “Fighter” features their vocalist/visual Wonho in a crop top, so I’ll be shameless and admit that they’re already well on their way to winning me over again. That’s it from us! What Fall comeback are you waiting for? Which has you more excited? Sound out below!